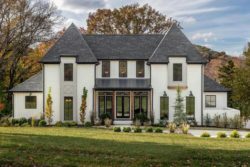 This beautifully styled home features a rough luxe aesthetic, the work of Benchmark Design Studio in collaboration with Mike Schaap Builders, located in Holland, Minnesota. 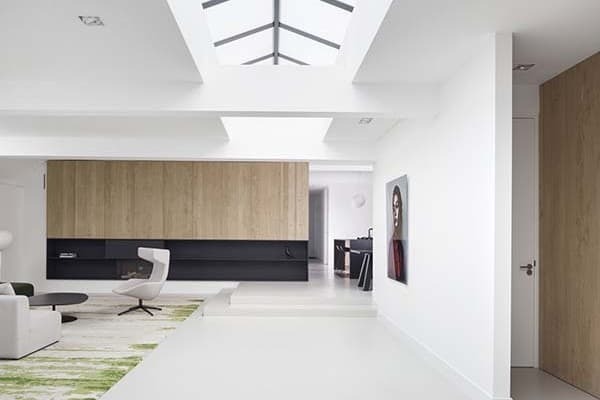 Throughout this home, the common theme is the heavy use of wood, injected an organic feel into the home. The kitchen underwent a major overhaul, offering plenty of storage with both lower and upper cabinetry. 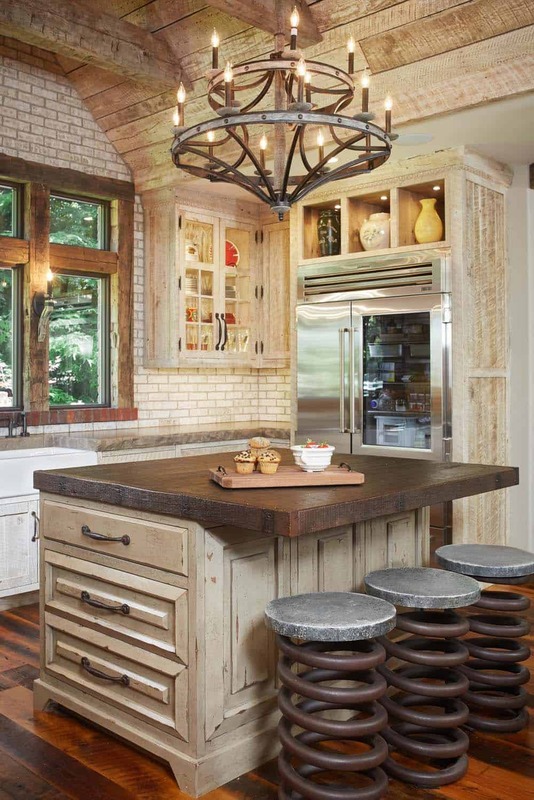 A center island showcases industrial stools that plays into the modern-rustic theme. 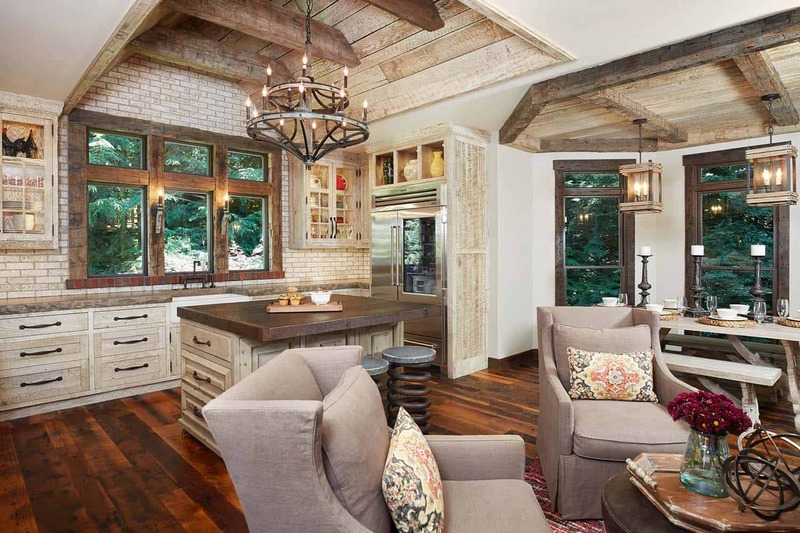 Rich wood tones can be seen throughout, with eye-catching details such as the wood beams above the kitchen and dining areas. 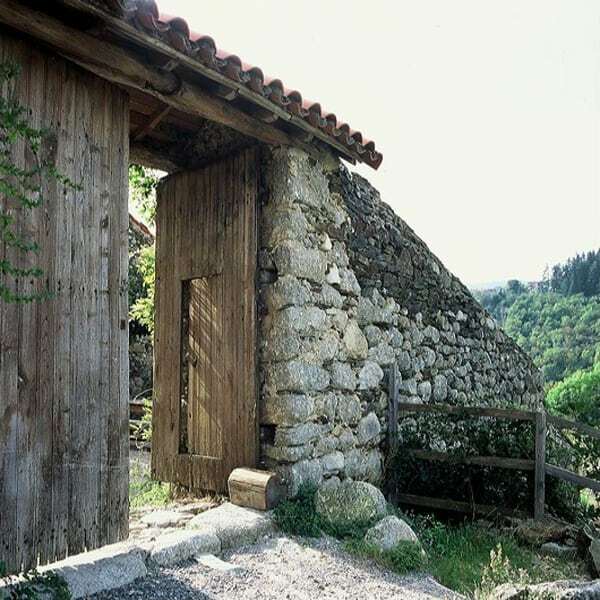 The central focus of the design scheme was infusing rustic and natural elements, which was at the request of the homeowner. The floorplan configuration was also changed considerably to make space for additional seating requirements for entertaining. 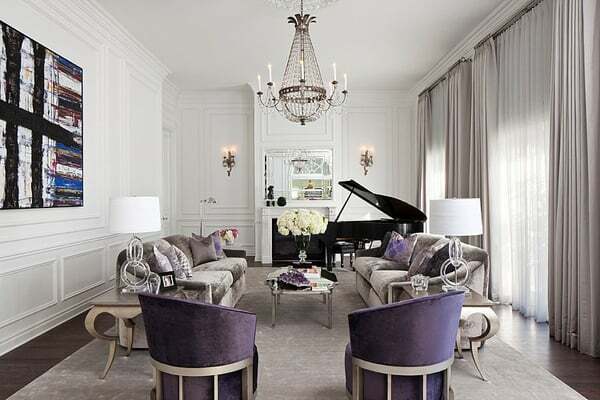 The existing architectural details were also updated to be in harmony with the adjacent living room. 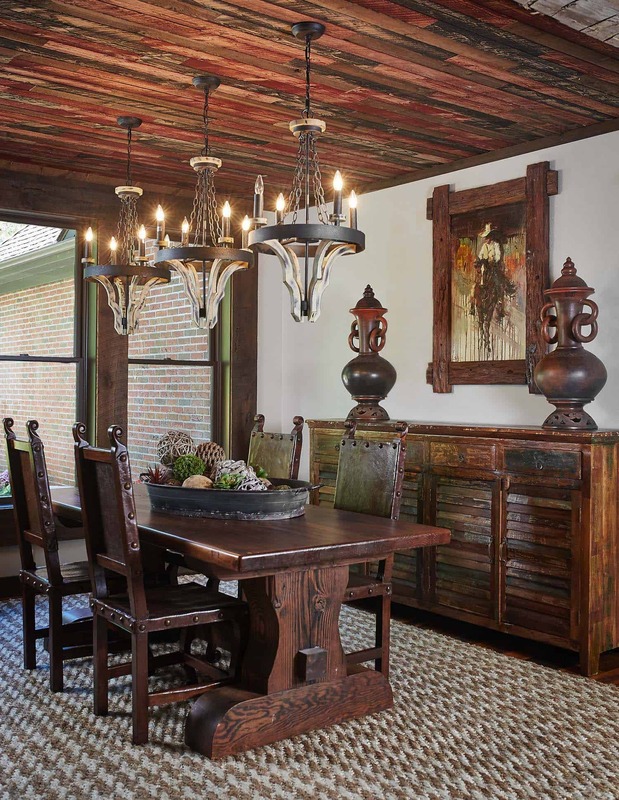 As you will notice, a highlight in the interiors of this home is the magnificent use of reclaimed wood, which can be seen repeated throughout. The eye-catching wood was collected from old barns in Indiana. You will see this hand hewn, rough sawn wood used in several different places. This would include all of the custom cabinetry, which has been finished with a white glaze. The window casings showcase reclaimed wood as well, stained in a dark finish. The kitchen island, as seen above, features a reclaimed wood butcher block. This really makes a stand out feature in this space. 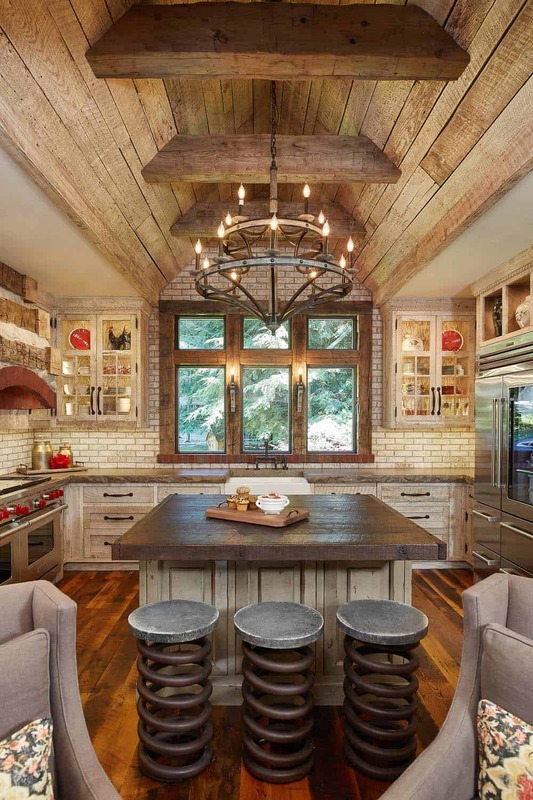 Above: The ceiling in the kitchen is comprised of reclaimed wood. The perimeter cabinetry features concrete countertops, adding some contrast and visual texture to the space. The upper cabinets are fronted with wire mesh, giving more of a shabby chic appeal. Adding to the overall rustic aesthetic of the kitchen, the designers selected aged bronze drawer pulls for the cabinetry. A striking chandelier suspended over the island adds a touch of elegance to this space. 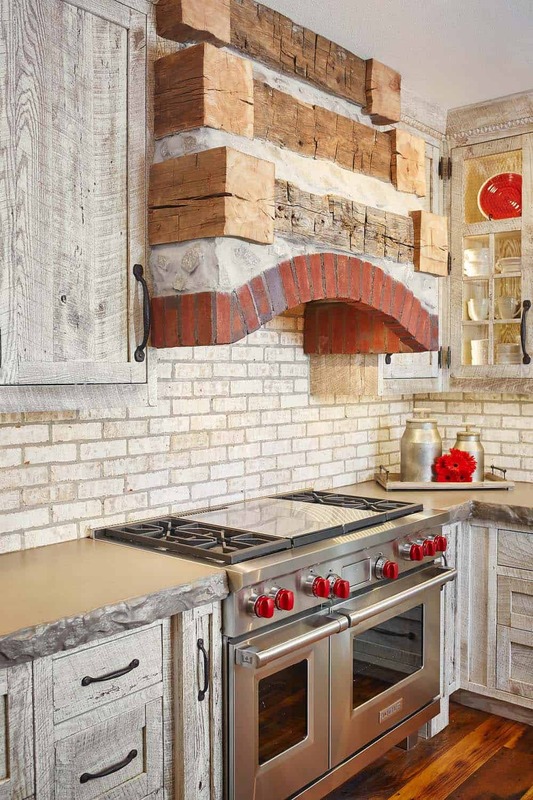 Above: The range hood in the kitchen consists of reclaimed wood, collected from barns in Indiana. 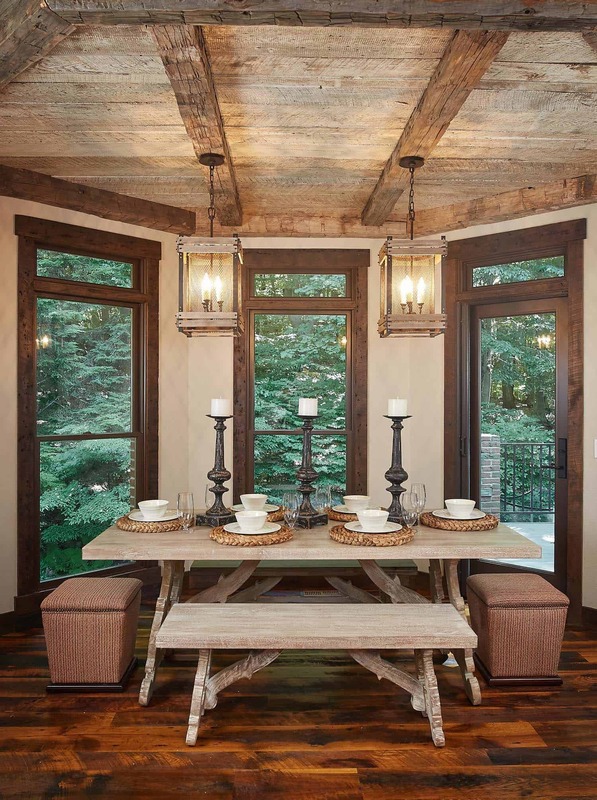 Above: In this spectacular rustic-modern dining room, reclaimed wood is the central focal point to this space. Above: The fireplace mantel is comprised of reclaimed wood, a natural feature element that can be seen throughout this home. 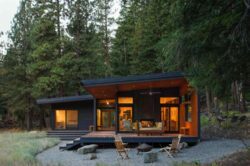 What We Love: This rough luxe home is a culmination of rustic and restrained that is in complete harmony throughout. 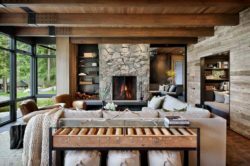 Every detail seems to be well thought of, from the sliding barn doors to the wood beamed ceilings and reclaimed fireplace mantels. 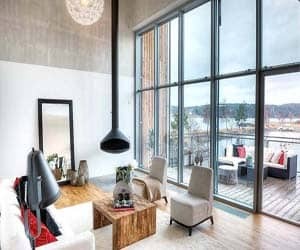 The heavy use of wood carried through all the spaces adds a warm and inviting feel that makes this home very livable. The kitchen is now cozy and spacious thanks to a complete remodel with plenty of function and beautiful design to go around. Overall, very impressive!… what do you think readers, are you crushing on this home as much as we are? 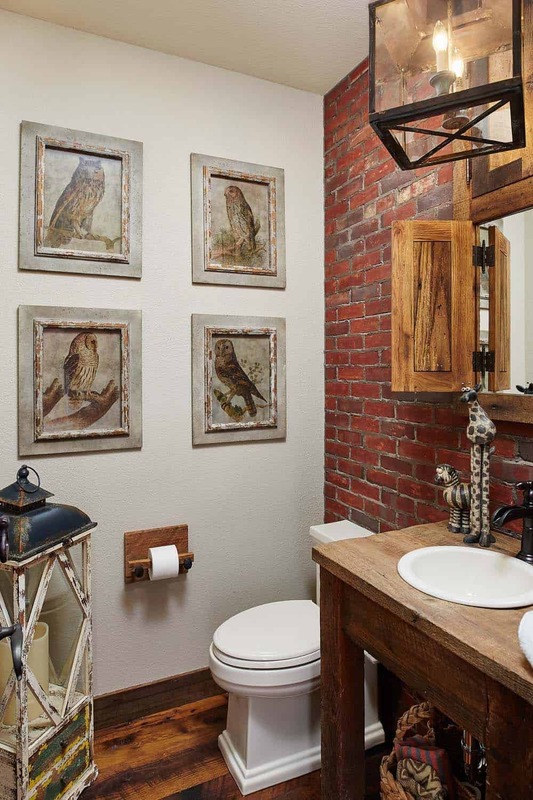 Above: A powder bathroom features an accent wall of exposed brick. Above: The dining room features heavy wood furnishings and three beautiful chandeliers. Notice the unique wood framed painting on the wall? The ceiling is also worth noting, clad with reclaimed wood that is in varied hues of reddish brown to darker brown tones. Above: The living room is bathed in natural light from expansive windows cased in reclaimed wood, stained in a rich dark hue. 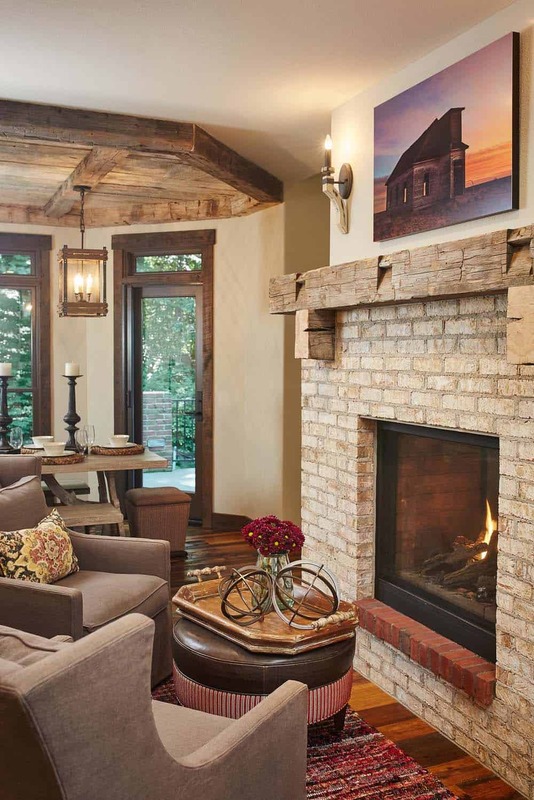 A brick clad fireplace has a mantel that is also composed of reclaimed wood. Above: The living room features a custom designed television cabinet with sliding barn doors that conceal the media equipment. 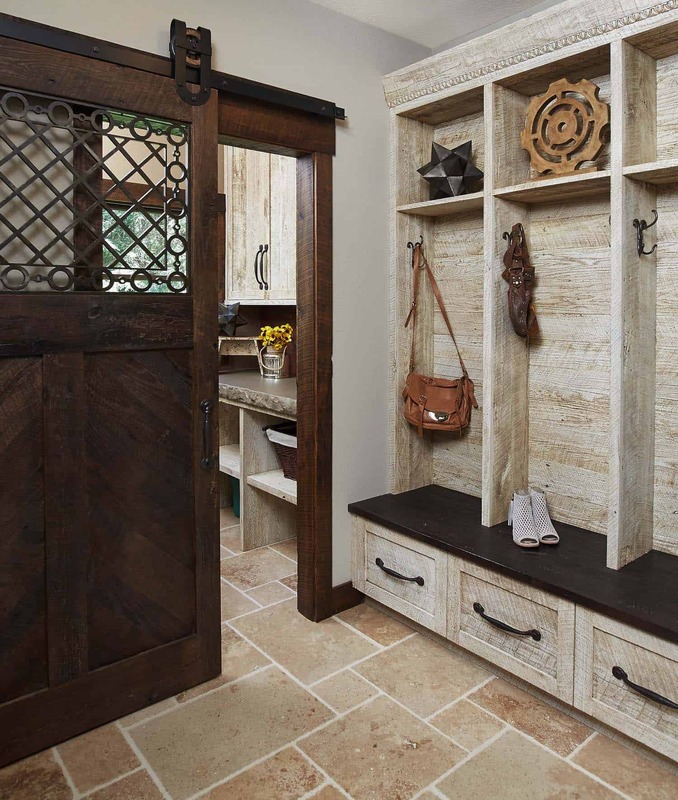 Above: The master bathroom can be closed off for privacy with barn doors on a sliding track. Tiled floors adds a touch of elegance to this rustic space. At the end of this space, saloon style wood doors opens to a water closet. Love the antler style chandelier illuminating this space! Above: Rough hewn wood cabinetry is complemented by concrete countertops in the master bath. 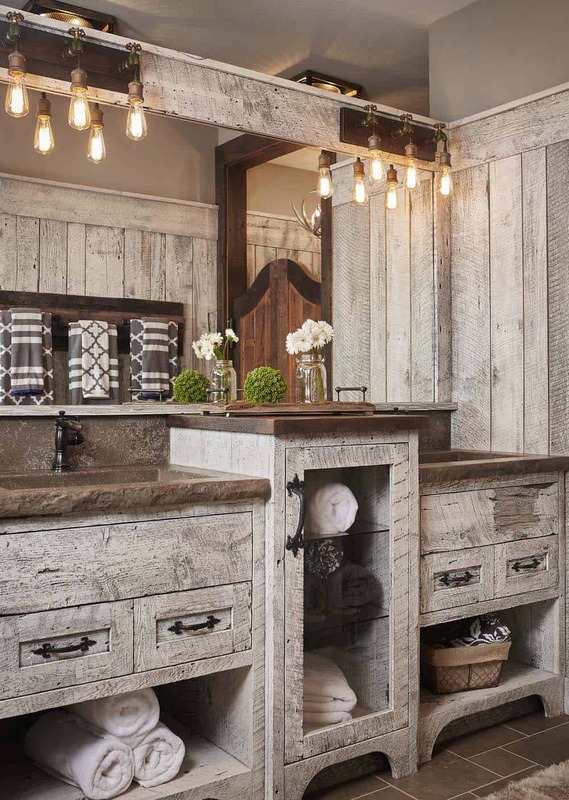 Industrial style light fixtures illuminating the vanity gives a rough luxe feel. Above: A laundry/mudroom is highly functional for family living with plenty of storage space. 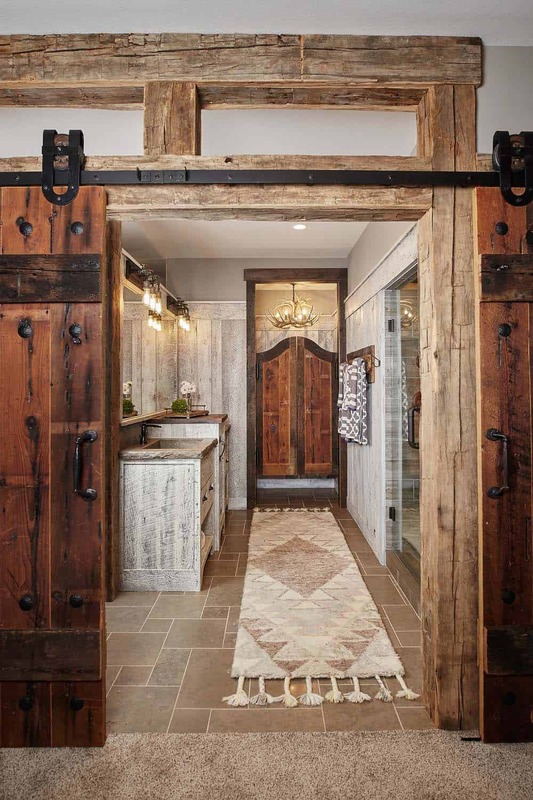 Notice the custom designed metal detail work in the sliding barn door? Simply stunning. 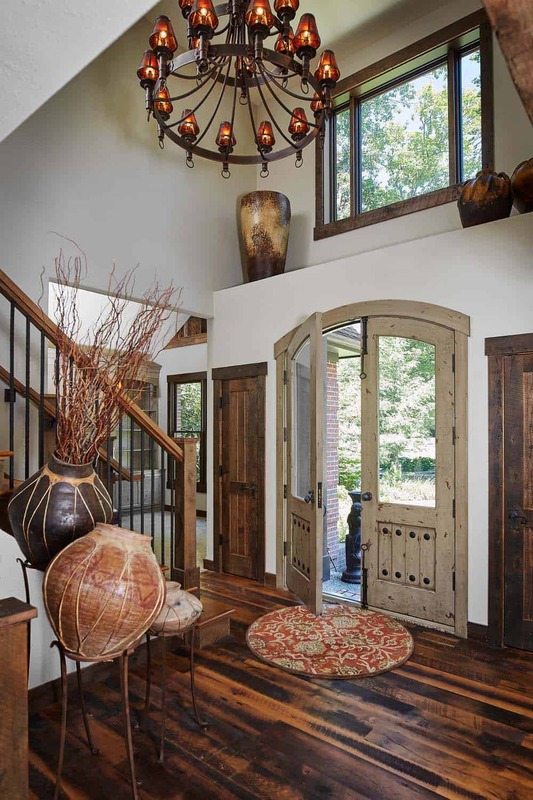 Above: The entryway flooring, as with most of the living spaces in this home, is clad in oak wood that was salvaged from a tobacco barn. Notice its stunning tones and rich hues, which is achieved through a process of drying and curing the tobacco wood. Another detail we love, the front door… it is so unique!